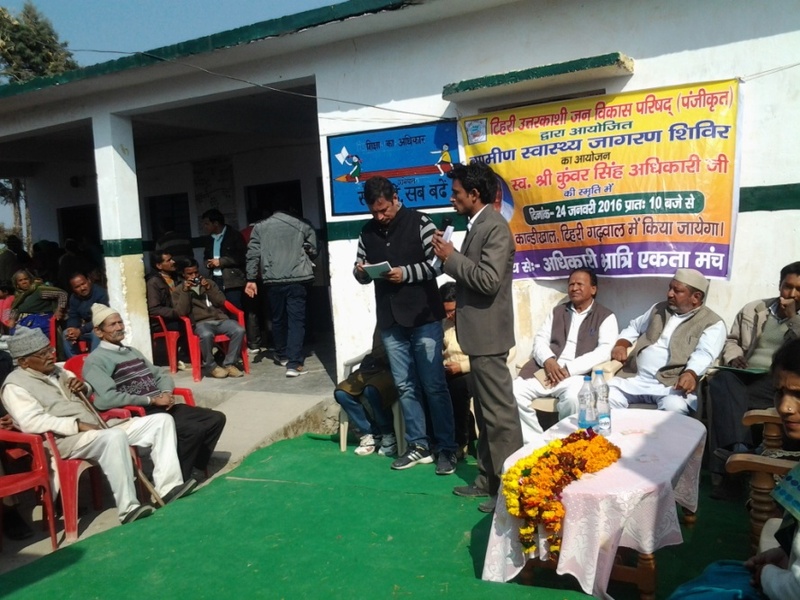 Tehri-Uttarkashi Vikash Parishad organised a ‘Health Camp’ at Primary School of Kandikhal Panchayat in Thauldhar block. This event was a part of the inaugural ceremony for the opening of a new skill development centre at the school. Vikram Singh Negi ( MLA), panchayat representatives, pradhan, school teachers and participants from nearby villages were present at the occasion. The participants tested their blood pressure, sugar and blood samples. In the event , Soochna Seva team also put up a stall to inform people about the services provided by the project and also shared information regarding various schemes that are provided by the central as well as the state government. The team also shared the importance of Soochna Vahan about how the van goes to interior locations and serve the masses. Vikram Singh Negi, MLA, praised the team for their good work and also invited them to participate in other government events.